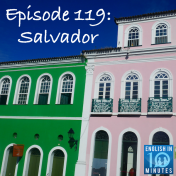 Nick and Wendy visit the Brazilian city of Salvador de Bahia. They talk about the Afro-Brazilian culture of Salvador, including music and capoeira. The episode comes with a worksheet containing a transcript of the conversation, analysis of the best vocabulary, and discussion questions to help you make the most of the conversation. Nick and Wendy talk about returning to Bolivia 13 years after their last visit. 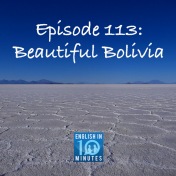 In particular, they discuss the country’s amazing natural beauty, including the world-famous Salar de Uyuni salt flats. The episode comes with a worksheet containing a transcript of the conversation, analysis of the best vocabulary, and discussion questions to help you make the most of the conversation. Nick and Wendy talk about spending a few days in Paraguay. 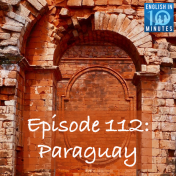 They discuss Paraguay’s attractions such as the Jesuit missions in the south and the capital Asunción. The episode comes with a worksheet containing a transcript of the conversation, analysis of the best vocabulary, and discussion questions to help you make the most of the conversation. 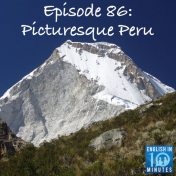 Nick and Wendy talk about the country Wendy listed as her second favourite in the world: Peru. They talk about Peru’s archeological sites and incredible nature. 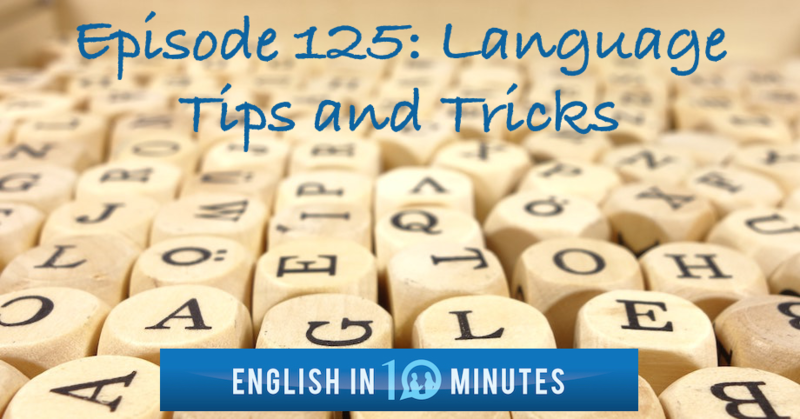 The episode comes with a worksheet containing a transcript of the conversation, analysis of the best vocabulary, and discussion questions to help you make the most of the conversation.